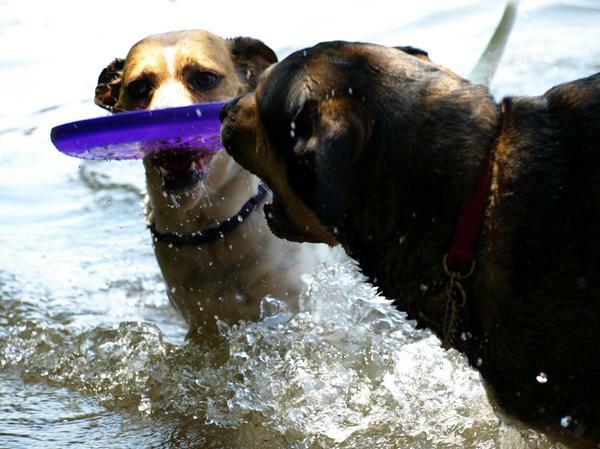 Description: My dogs Hootch and Wiggles playing tug-o-war over who gets to carry the frisbee to me after fetching it in the water. Perfect shot of the dogs and the water....love the splashes and drips of water as the camera has caught the wave and stopped it for a split second. That is so cool. What fun! By the way, left it out, this was taken in Corolla in the summer of 2008.